A warm welcome on the other side of this door . . . The iconic hotel in Deià, on the island of Mallorca, that many people still refer to simply as La Residencia is officially called Belmond La Residencia. It’s part of the Belmond collection of 46 hotels, trains, and river cruises – all offering exceptional travel experiences in different parts of the world. 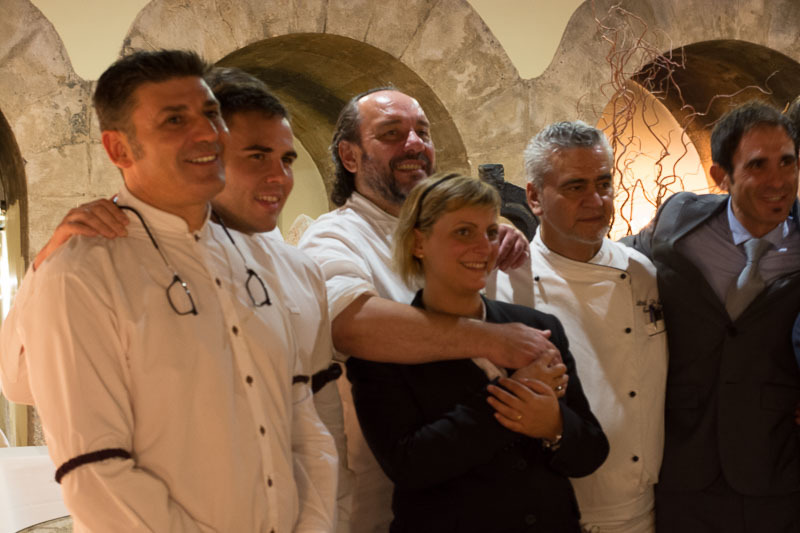 One benefit of being part of such a prestigous group is that chefs sometimes visit and cook in other hotels within the collection – as happened on Thursday (September 10th) in Deià. 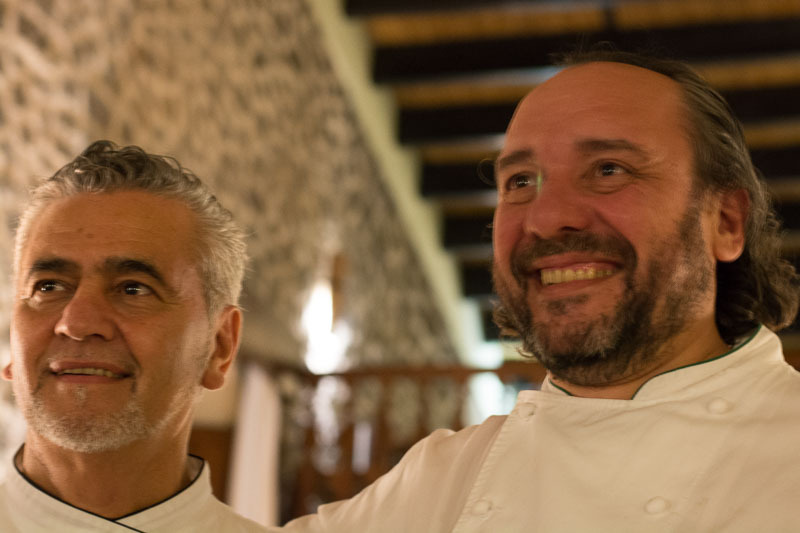 On this occasion, Attilio Di Fabrizio – executive chef of the Belmond Villa San Michele in the village of Fiesole, near Florence – came to Mallorca to work alongside Guillermo Méndez at La Residencia, to produce a Taste of Tuscany menu. Rain earlier in the day meant that dinner was taken in the El Olivo dining room, rather than on the beautiful terrace, but we were still able to enjoy a glass of prosecco or a Bellini and some delicious canapés alfresco there beforehand, admiring the village views. Not surprisingly, the food was exceptional and full of flavours. 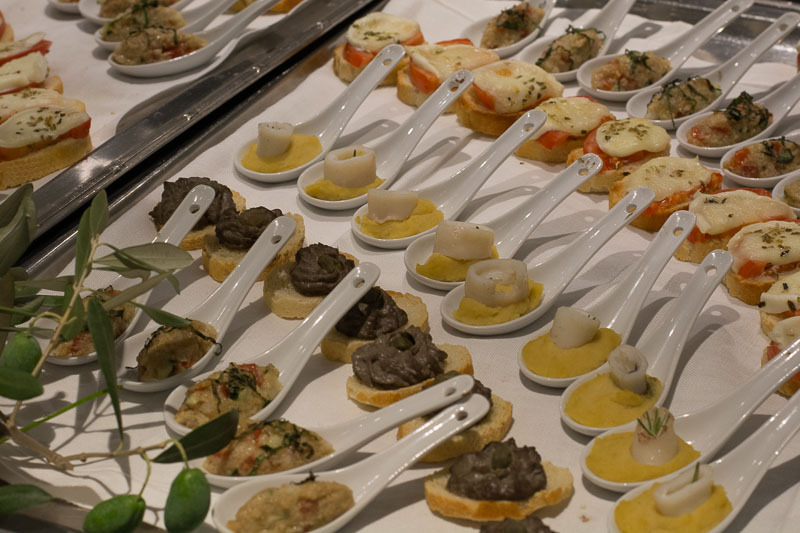 Every dish and accompanying wine was explained to us as it was served. It would be difficult to choose a favourite dish from the night, but if forced to, I’d name two: the spaghetti dish, and the cappuccino dessert (something of a classic at Villa San Michele). 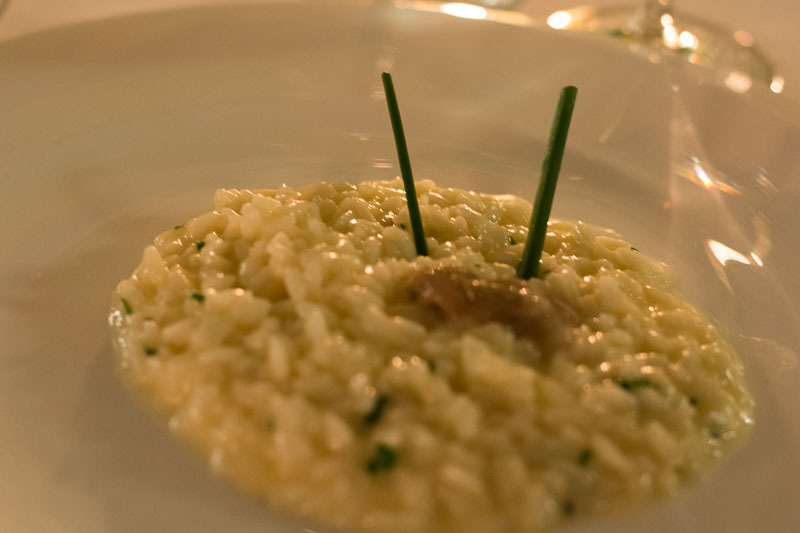 I realised two things during this dinner: firstly, that I don’t know much about Italian wines – and these were very good – and second, that it’s time that The Boss and I visited Italy again (with at least a lunch or dinner at Villa San Michele). During dinner we had an unexpected musical treat, when a white-jacketed guitar-playing opera singer arrived to treat us to some classic Italian songs (and a jaunty little Swedish ditty). It really added to the ambience and was appreciated by diners in the almost-full restaurant. This was a wonderful evening in a hotel that hosts a number of interesting events. 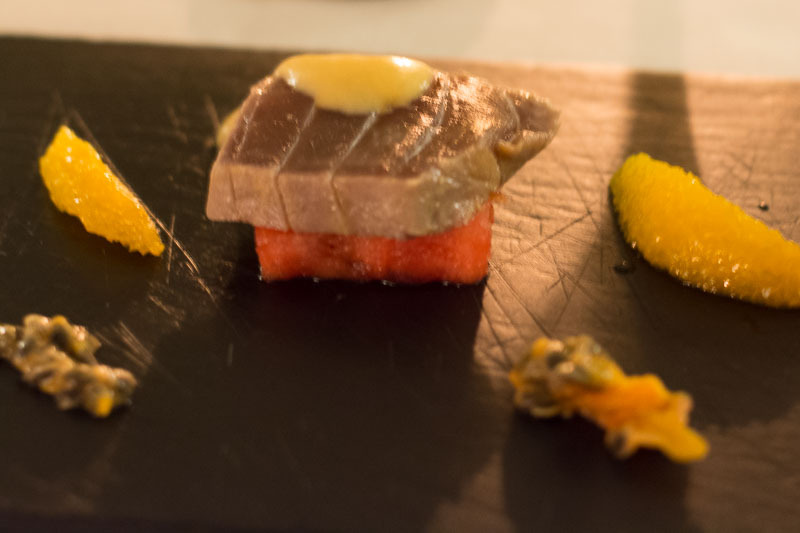 Earlier this year they offered a special gourmet ‘raw’ food menu over a four-night period, in conjunction with Mallorca-based raw food chef and specialist Beverley Pugh. In November, foodies in St Petersburg in Russia will be able to savour Guillermo Méndez’s cuisine, when he packs his chef’s whites to cook for guests at the Belmond Grand Hotel Europe. They’re in for a treat. I applaud the idea of chefs visiting from other countries to bring their cuisine to diners who may not otherwise be able to experience it. 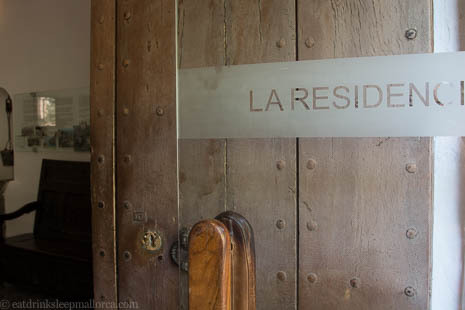 In my little gastronomic fantasy, Raymond Blanc – from the two-Michelin-star Belmond Le Manoir aux Quat’ Saisons in Oxfordshire (UK) – would come to Mallorca to work his culinary magic at La Residencia. 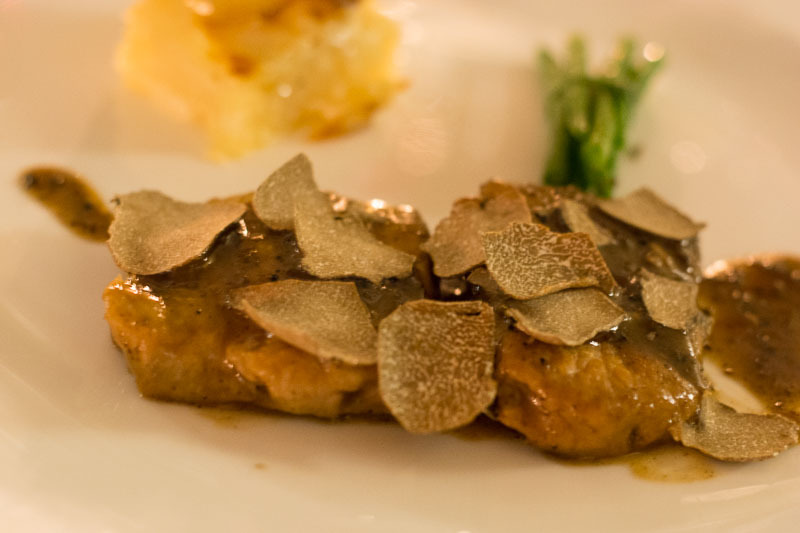 The dinner that The Boss and I once had at Le Manoir is still the best we’ve ever eaten, so we’d be there for sure . . .